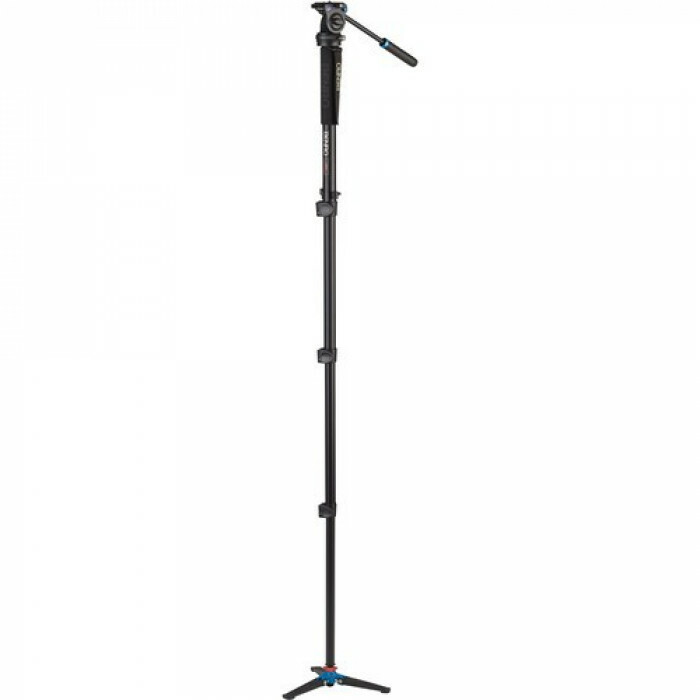 This Benro A38FDS2 Series 3 Aluminum Monopod includes the 3-Leg Locking Base and S2 Video Head to give you a versatile still or video camera support system. 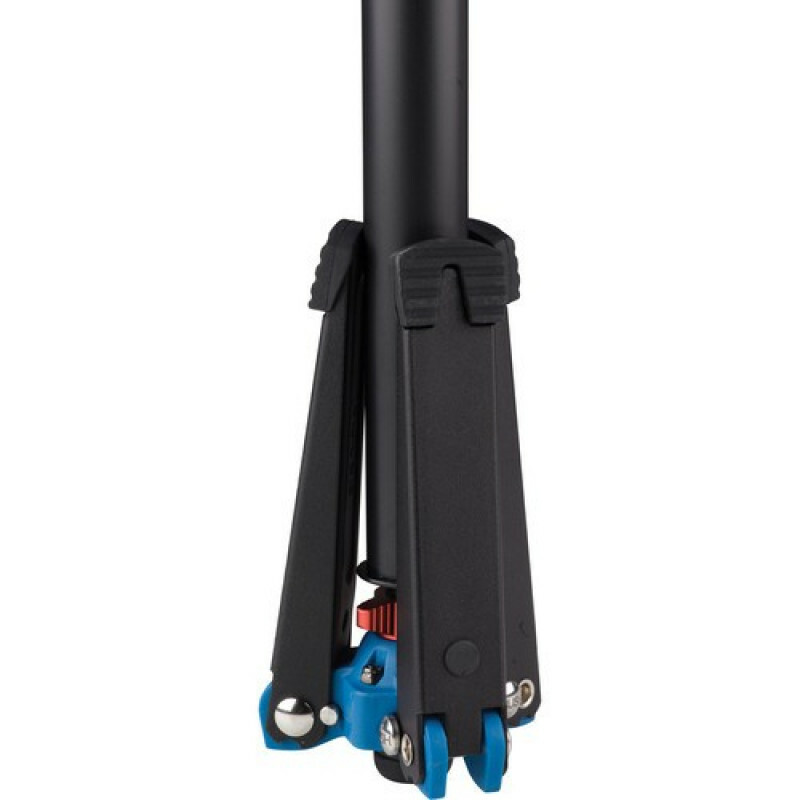 Able to hold up to 5.5 lb and extend to 64.2″, the removable base provides three solid points of contact with the ground, and acts like a mini tripod. A ball joint on the base allows you to smoothly pan and tilt your camera, and it can be locked so that you can pan with the head independently. 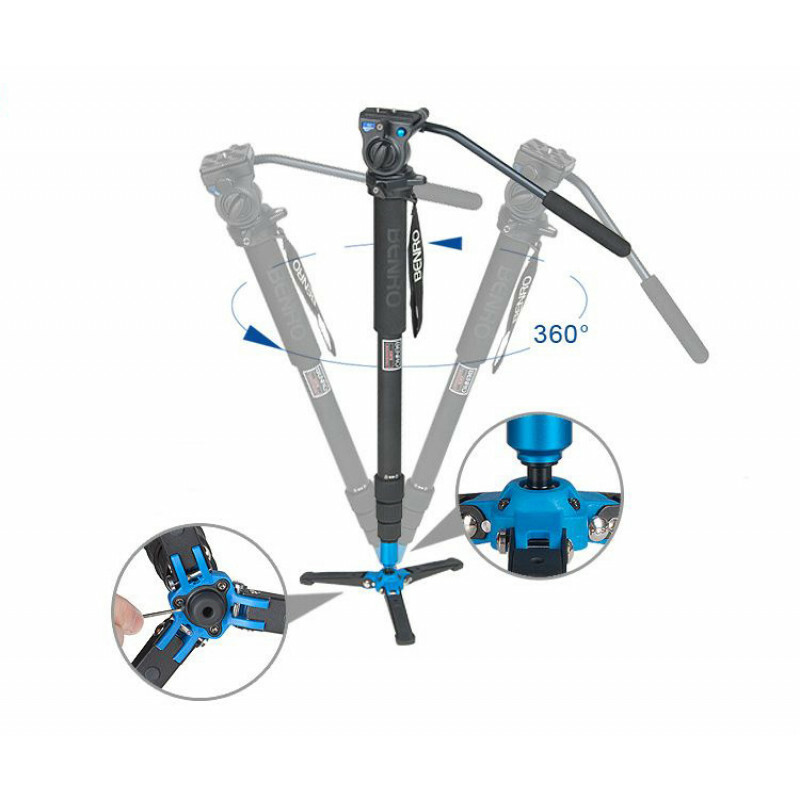 The base can be replaced with the included rubber foot for standard monopod use. The four leg sections are secured by flip locks, and it folds down to 24.2″ for transport in the included carrying case. The S2 is a compact video head with 360° rotation. There are separate pan and tilt lock levers, and a sliding quick release plate helps to balance the camera. Reap the benefits of a monopod with the stability of a tripod using the Benro A38FD Series 3 Aluminum Monopod with 3-Leg Locking Base. 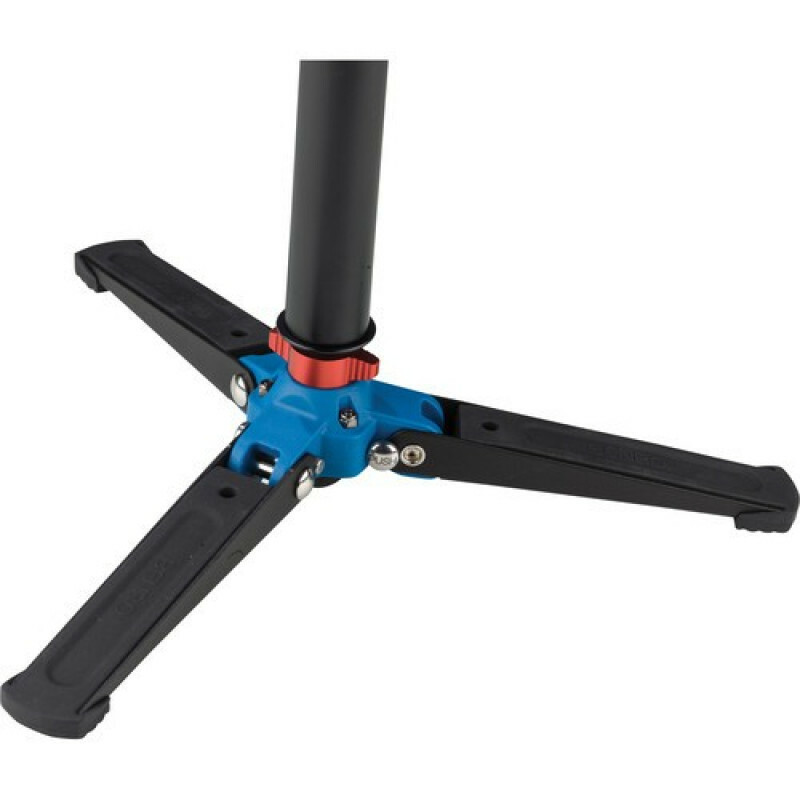 Able to hold up to 39.7 lb and extend to 61″, the A38FD Series 3 is a versatile camera support thanks to its base which provides three solid points of contact with the ground. The base acts like a mini tripod, and its ball joint allows you to smoothly pan and tilt your camera. 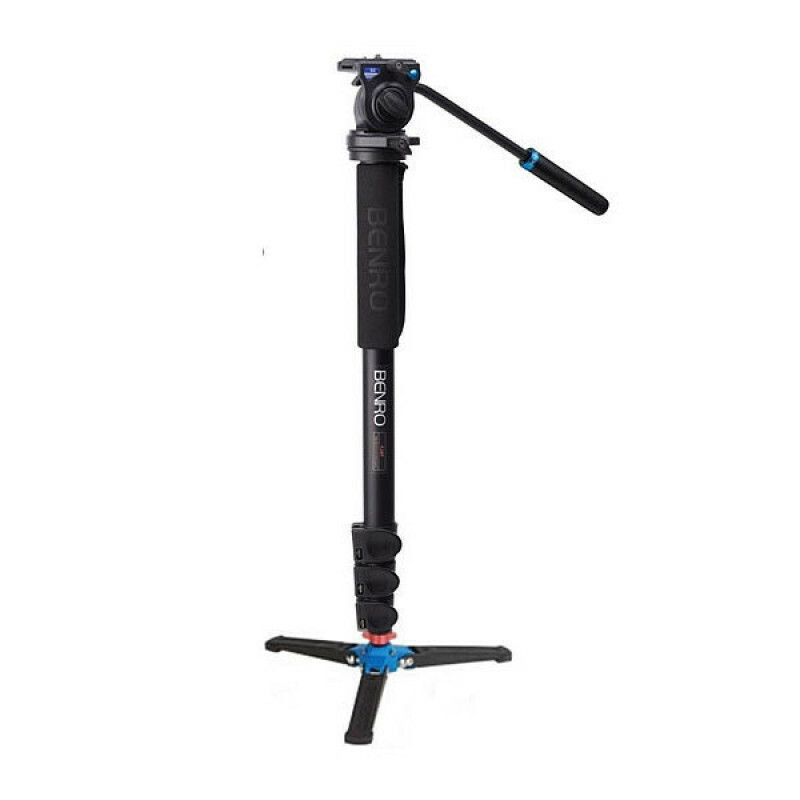 If using a pan head on the monopod, the base’s ball joint can be locked so that you can pan with the head independently, or you can replace the base with the included rubber foot. The four leg sections are secured by flip locks, and it folds down to 21.3″ for transport. Add stability to your monopod with the Benro 3-Leg Locking Base. It attaches to any monopod with a 3/8″-16 female thread on its foot. 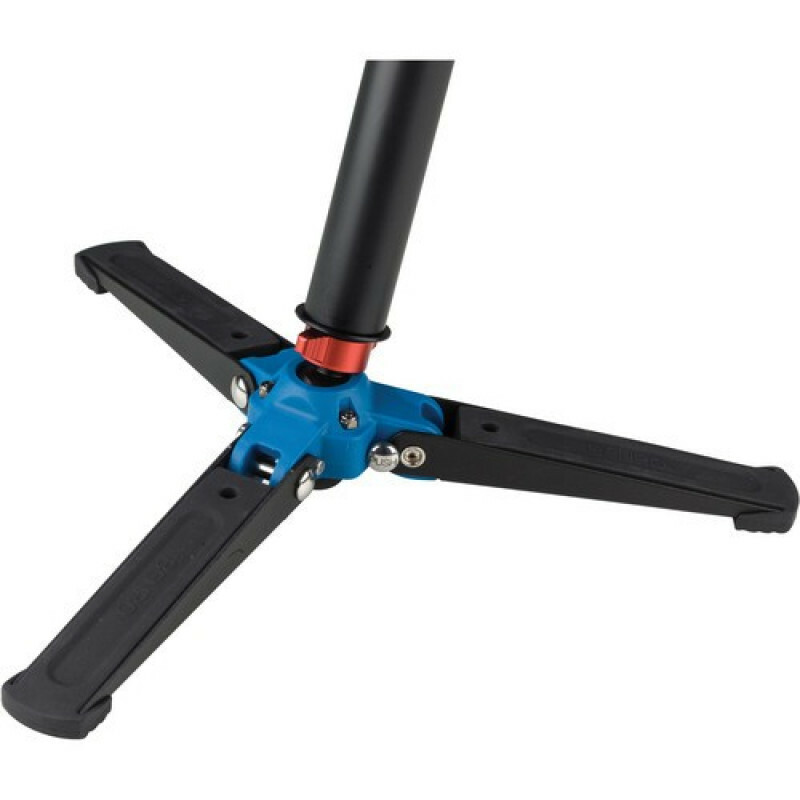 The base allows for smooth pan and tilt movements due to a ball joint that can be locked with a wingnut-style locking knob.